What Does Code P0030 Mean? The upstream oxygen sensor (O2S) is located ahead of the catalytic converter. It is used to determine the concentration of oxygen in the exhaust gas. This information is used by the PCM to control the engine air/fuel mixture. The sensor compares amount of oxygen in the exhaust to the surrounding air (there is an opening in the sensor that is exposed to the atmosphere). It generates a corresponding voltage which is transmitted to the PCM. The PCM then controls injector pulse based on this value. 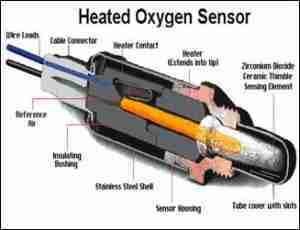 Modern vehicles use a heated oxygen sensor (HO2S). These sensors contain a heating element that brings the sensor to operating temperature faster. This allows the PCM to use the signals input sooner, for more precise fuel control and reduced emissions. The heater circuit is energized through a relay that closes when the engine is cranked. The PCM monitors the heater circuit and will turn on the check engine light if it finds a problem. Code P0030 stands for Oxygen O2 Sensor Heater Circuit Malfunction (Bank 1, Sensor 1). 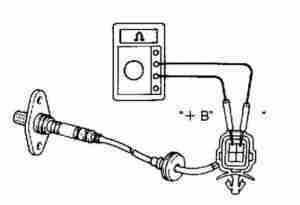 This indicates the PCM has detected a problem with the bank 1 oxygen sensor. Bank 1 refers to the side of the engine that has the #1 cylinder. Bank 2 is the opposite side of the engine. If you’ve got a four-cylinder, there will only be one bank. What are the common causes of code P0030 ? What are the symptoms of code P0030 ? In theory, a failed O2 heater will result in poor fuel economy. But you’ll probably never notice the difference during operation. The only thing you will notice is an illuminated check engine light on your dashboard. If your registration is due, you will also fail the emissions test. How do you troubleshoot code P0030 ? Code P0050 is the most closely related code to P0030. It stands for 02 Sensor Heater Circuit Malfunction (Bank 2 Sensor 1). So, it is essentially the same code, but for the opposite bank of the engine. All of the same diagnostic steps apply. Great information clearly explained thank you so much. Thanks for the encouraging words. We hope that this information helps our readers fix their cars easier. If you had a good experience on our site, please be sure to let others know about it! wow this information is what the doctor ordered i really thank you from my heart. I would definitely test the sensor itself, first. I just recently bought a sensor that was dead out of the box. The car almost immediately threw a P0030 code after installing it. I tested the heater wires on the sensor, and it failed the continuity test. Just to double check, I tested the old sensor I had just removed, and it passed. I reinstalled the old sensor and ran it for a while – the engine check light never came back on. The old sensor still needs to be replaced, as it has over 200K miles on it and has become a touch “lazy.” The heater circuit is obviously still good, though. I guess even reputable companies like Denso can produce a few duds. 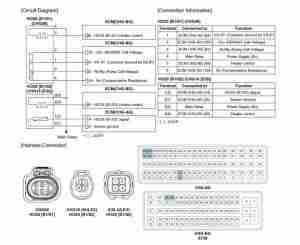 p2237-powertrain 2)02 sensor positive current control circuit open bank1 sensor1 problem.